In denying a visa to the Tibetan spiritual leader, President Ma of Taiwan missed a valuable opportunity. The issue of whether to grant a visa to the Dalai Lama has emerged as a dilemma for many nations, including Taiwan. President Ma Ying-jeou's Chinese Nationalist Party (KMT) administration lauds its policies as responsible for the most peaceful cross-strait relations in six decades. To welcome Tibet's spiritual leader — a man who China referred to as a “tricky liar skilled in double-dealing”— to Taiwan might appear a bit complicated. 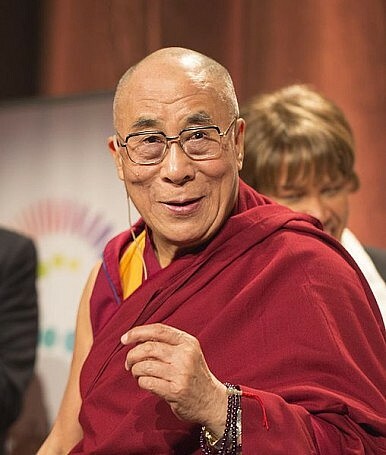 Yet, if Taiwan hopes for the world to view it as a nation that, as President Ma puts it, “[up]holds democracy,” “observes the rule of law,” and “protects human rights,” welcoming the Dalai Lama to Taiwan is both a natural and logical choice. A few months ago, the International Federation of Business and Professional Women (BPW International) invited the religious leader to its Asia-Pacific regional conference, which took place from December 1st – 3rd in Taipei. The president of BPW International, Freda Mirkilis, wrote to President Ma regarding the invitation on August 8th and again on September 10th. As Founding President of BPW Taiwan, former Vice President Annette Lu also personally called President Ma to ask for his help in facilitating the Dalai Lama’s visa to Taiwan. Ma told Lu that allowing the religious leader to come to Taiwan at this moment would prove to be "a complex issue,” and the KMT administration officially denied the request on November 16th. In a letter to BPW International President Mirkilis, Minister of Foreign Affairs David Lin stated that the Dalai Lama "is welcome to travel to Taiwan in due course; however, we need to arrange a more opportune time for his visit." Deputy Foreign Minister Simon Ko also said at a legislative hearing that “After an internal evaluation, we decided that now is not an appropriate time to have the Dalai Lama visit Taiwan,” while failing to provide any insight into the decision-making process. Opposition legislator Bi-khim Hsiao, who serves on the Legislative Yuan foreign affairs committee and was formerly the vice-chairman of the Taiwan Tibet Exchange Foundation, responded by stating that "The Taiwanese have a special sympathy for the people of Tibet and their struggle for freedom and human rights. The government's decision to deny a visa to their spiritual leader the Dalai Lama at this time runs contrary to our values and reflects an alarming trend of China's growing influence over Taiwan." Ambassador Joseph Wu, Taiwan's former representative to the United States, also spoke to The Diplomat regarding the controversy. “[President Ma Ying-jeou] depends on China economically to the degree that now China can dictate his foreign policy. Ma has forgotten what Dalai Lama means to the world but has remembered well that he should not do anything to irritate China."